If you fancy a bit of sunshine on a cloudy and rainy day then Costa Bingo is the site for you, and a big favourite of Mobile Bingo Bonus. With 24/7 bingo giving huge cash prizes and jackpots, they offer over 100 games and 50 bingo rooms. Now with the introduction of the Costa Bingo Casino section, you have an even greater variety of game playing including top slot titles such as Cleopatra Slots and Fluffy Favourites. Plus exclusive games not available on any other site such as Zumba, Deal or No Deal and Victorious Slot. With their motto being “Better Value, Bigger Jackpots” we’re sure you’ll return to this site over and over again. When you register with Costa Bingo they will give you £5 bonus credit, no deposit required, how great is that? This credit can be used to try out the site and play around on the games, maybe even try out a few games you’ve never played before. Once you’ve used up the £5 you’ll be looking to deposit to keep the fun going. 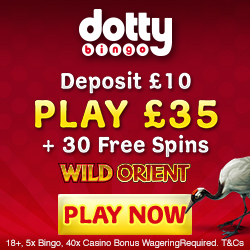 Deposit £10 and Costa Bingo will give you a 300% welcome bonus, which is an extra £30 bonus, totaling £40 to play with. Again giving you more chance to play around and enjoy the amazing high quality gaming on Costa Bingo. Also as a first time depositor you will gain entry into their no deposit game, where a guaranteed jackpot of £15 is up for grabs every hour. As an additional thank you from Costa Bingo they offer a 50% deposit bonus for every subsequent deposit of a minimum of £10. 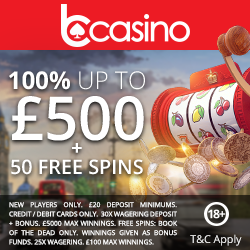 Like the first time depositor bonus, every time you deposit you will gain entry into their reload game where there is a guaranteed £15 jackpot up for grabs every 30 minutes. Even at points of the month where you’re a little strapped for cash you can still play your favourite game no matter what. Costa Bingo have no deposit bingo with jackpots running up to £50 every day! Once you’ve determined what we already know, that Costa Bingo is a fantastic Bingo and Casino site then you’ll want to tell your friends and family. As well as your friends joining in the fun you could also earn a little something extra. For every friend you refer they will give you an extra £15 credit onto your bingo balance.What makes this even better is the fact that this is an endless bonus, the more friends you refer the more credit! As with many sites Costa Bingo have their own VIP club called the Costa Diamond Club. You join the club as soon as you register an account and make the initial deposit. Then it’s as simple as playing your favourite games and you will naturally accrue diamond points. There are 5 levels, so the higher the levels and the more the diamonds and the greater the bonuses, offers and prizes. A current promotion is the chance to win 3 million diamonds by playing the Mill Thrill games every Tuesday and Thursday night at 9pm. To register and take advantage of these amazing offers and bonuses, simply head to Costa Bingo and enjoy.